Folks – news from the Negator army. The Band is going to hit the studio in less than a week to record their upcoming full length album. This 7″ will be limited to a mer of only 200 copies, is on white vinyl, has two complete new songs and includes a free download code…watch out! Our buddies of DER WEG EINER FREIHEIT are going to hit the street again as CO-HEADLINER of the “Aetas Cineris” tour in March 2013 together with Agrypnie and Heretoir. Meanwhile – we are cleaning our warehouse. Due to this we are offering you a X-MAS special. At our store at Greenhell all Viva Hate Records CD releases are available for a special price (9.9€). We are also offering some test pressings (more to come – keep checking frequently) plus we found some last white vinyl copies of the Pelican Box. We are extremely proud to announce the signing of Germany’s finest extreme Black Metal bands to our roster. NEGATOR and Viva Hate Records join forces to take further steps with the band. 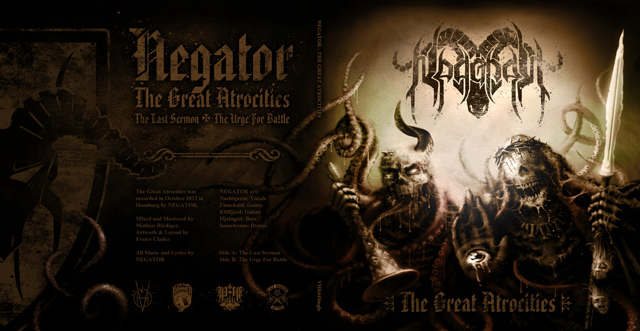 NEGATOR’s next full length is going to be released in spring 2013 – when NEGATOR will see his 10th anniversary. 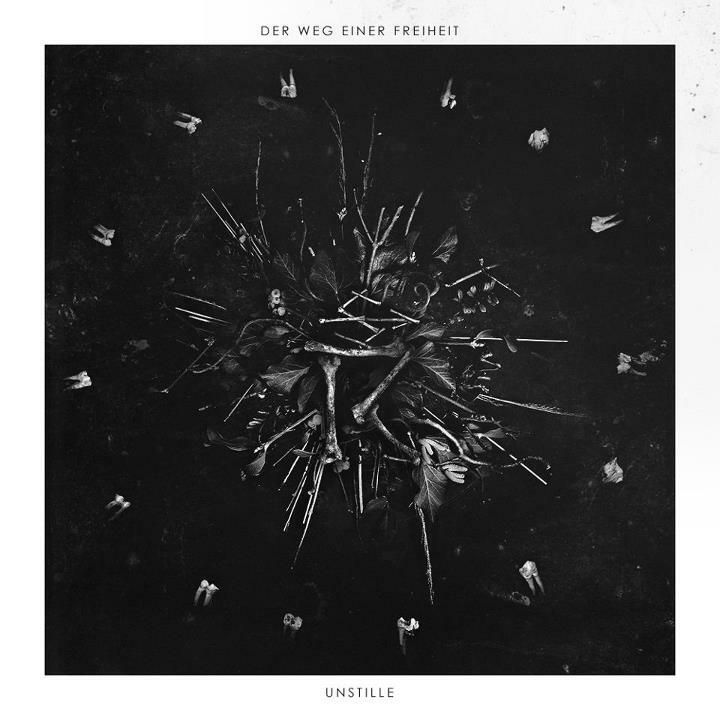 Der Weg Einer Freiheit – Unstille OUT NOW! The Der Weg Einer Freiheit – Unstille album is out! We are happy and proud to announce the official release the band’s second album! The ltd. edition had been sold even before the album’s release date. At METAL HAMMER GERMANY you can now listen to the entire upcoming UNSTILLE album for one week. Don’t miss this out. Click here. Der Weg Einer Freiheit – preorders for ‘Unstille’ available now! Visit our shop at Greenhell or go to the bands shop (CD Box only, no ltd. 250 vinyl). 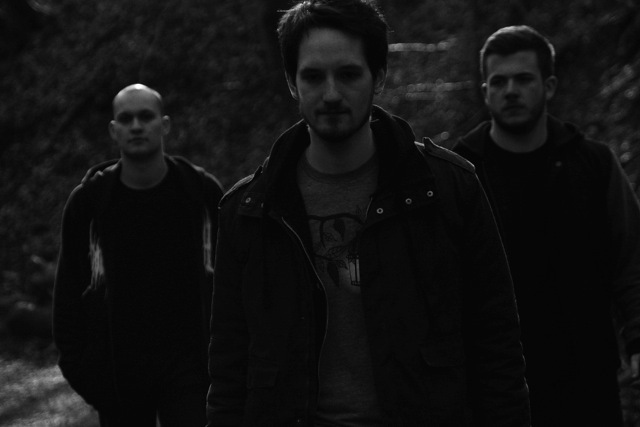 Der Weg Einer Freiheit uploaded their first track on the band’s webpage “Zeichen”, an over 12 minutes monster. “Zeichen” will be free for download until Sunday 20th. 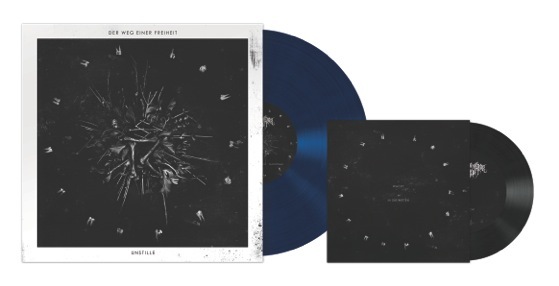 Folks, here are some further details about the upcoming DER WEG EINER FREIHEIT album UNSTILLE. Preorders for ‘Unstille’ will start on May 31st 2012 at Green Hell and the band’s shop of course. 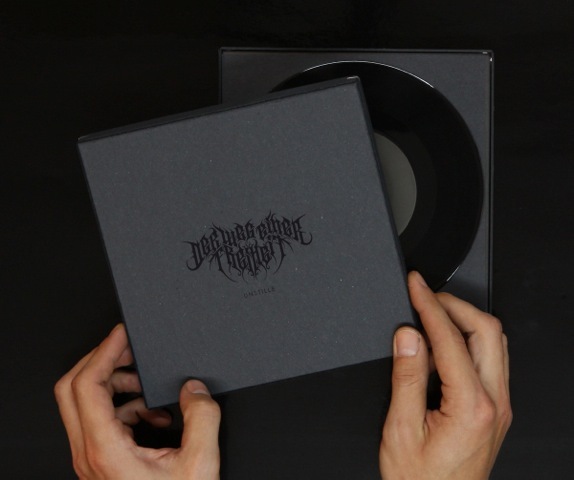 The bonus 7″ features two yet unreleased songs. 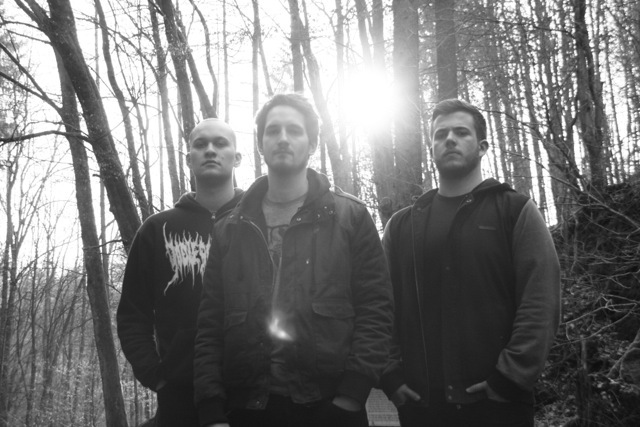 Der Weg Einer Freiheit uploaded a STUDIO REPORT in collaboration with metal.de. ‘Unstille’ features six songs with a total playtime of about 45 minutes. It will be released on June 29th 2012 through us. Available editions and pre-order information will follow soon! Check out our Der Weg Einer Freiheit merch. To celebrate its release the band will play a special open air release-show on June 30th at the TNT-Fest which will take place at the Kilianeum in the band’s hometown of Würzburg together with Nocte Obducta, Arafel and many more! Last but not least we will have a nice surprise for you next week, so stay tuned!